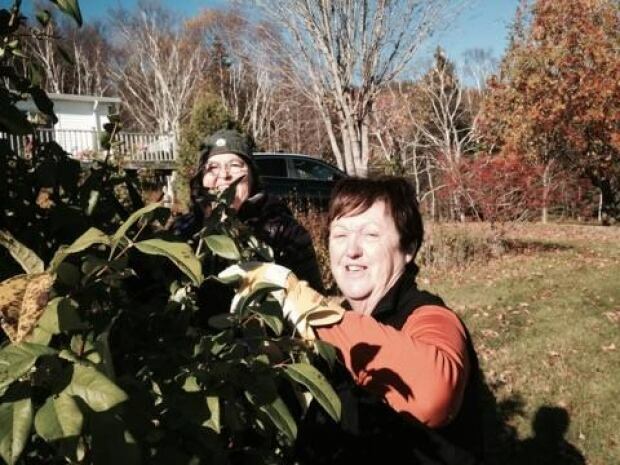 The long-standing tradition of neighbours helping neighbours is taking on a new twist along Cape Breton’s north shore. “A time bank is basically an organized way to exchange services amongst neighbours and friends,” said association chair Anne-Claude Pepin. A member receives a credit for each hour they help another person in the time bank. Credits can then be redeemed in the form of services from other members. The St. Ann’s Bay Time Bank is registered with TimeBanks USA, a free online tool that allows groups anywhere in the world to create a time bank account for their region. Members create a profile, list the services they’re willing to provide, and make requests for help. 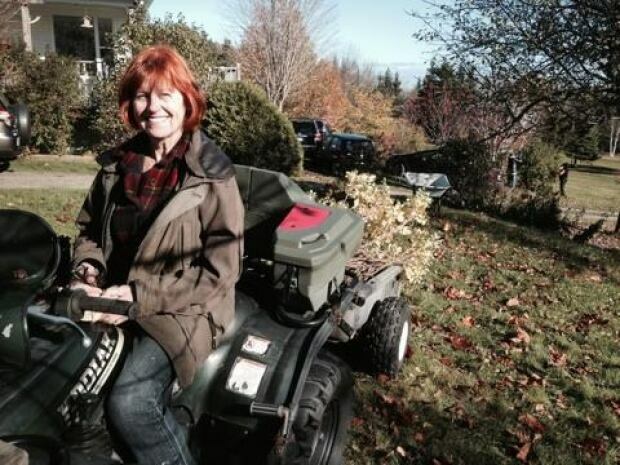 “I’ve had people pick up things for me in Baddeck. I’ve had somebody watch my kids. I’ve had people that fed my chicken for two weeks because I was away on vacation,” said Pepin. On Thursday, Pepin was part of a work party trimming bushes for Wreck Cove resident Jitka Zgola. The time bank idea stemmed from a survey the association carried out last year to identify needs in the rural community, she said. Most of the time bank’s 75 members are over the age of 55. So far, they have exchanged close to 300 hours. A core principle of time banking is that everyone’s time is of equal value and everyone has something to offer, whether it be legal expertise or simply companionship. “I mean, people here can make the best tea biscuits in the world, or they can tell the best story that anyone’s ever told, so everyone has something to offer,” said time bank co-ordinator Patsy LeBlanc. The association hired LeBlanc in the spring through a $12,000 grant from the Nova Scotia Department of Seniors’ Age-friendly Communities program. A key benefit of the time bank is that it makes it easier for community members to ask for help, said LeBlanc. Keeping a balanced account does not appear to be a key concern for most members. “We’re actually finding people giving more time than they’re taking in,” said LeBlanc. Zgola admits to being on the other side of the balance sheet.